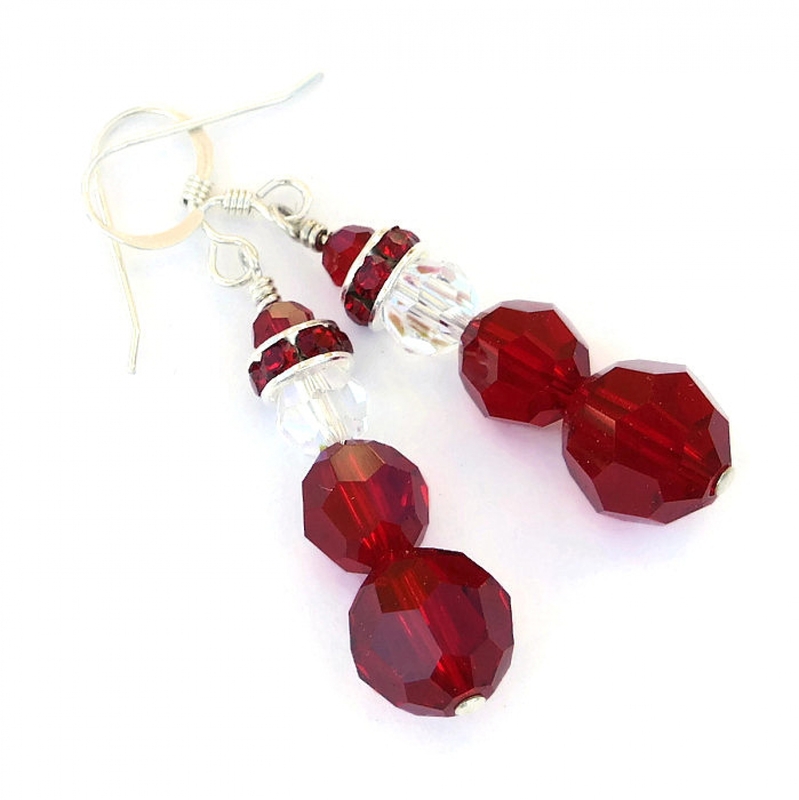 These sparkling handmade Santa earrings spread cheer whenever and wherever they are worn - definitely your “go” to holiday jewelry. 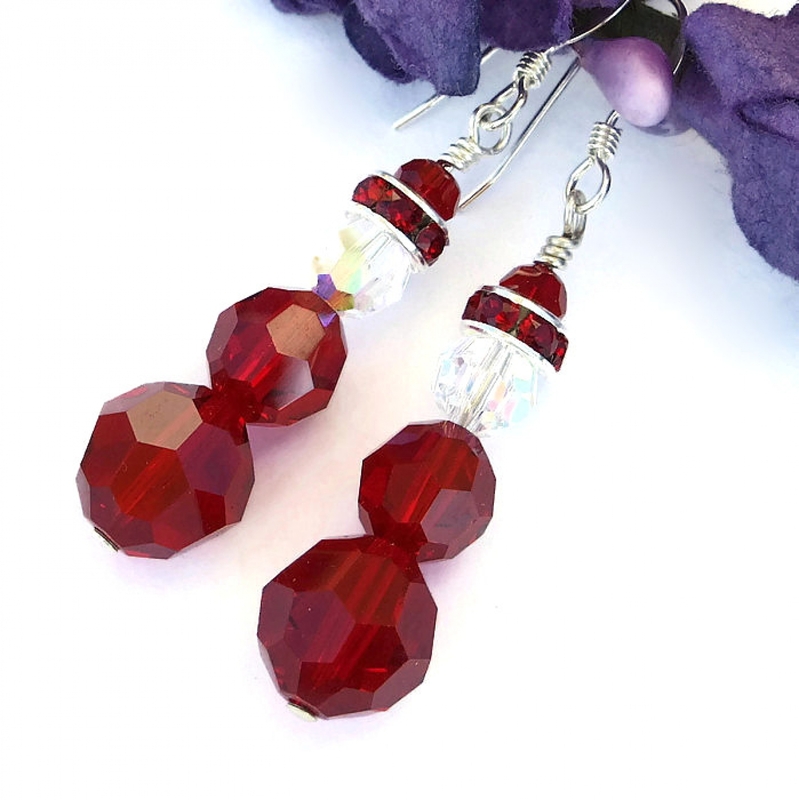 Perfect bling for Christmas parties or for just hanging out with friends, the SANTA earrings feature faceted siam red Swarovski crystals and silver plated roundelles and clear crystal Swarovski crystal rounds with a rainbow aurora borealis (AB) finish. Sterling silver earwires finishes the cuties. Glittery and fun, the SANTA earrings were carefully designed and handmade by Catherine of Shadow Dog Designs for the woman who adores wearing unique jewelry. Since the SANTA Christmas earrings were made primarily with Swarovski crystals, I decided to share a very brief history of the sparklies. Anyone who is familiar with Swarovski crystals know that they are considered the premier manmade crystal in the world. Swarovski crystal have been manufactured since 1892 in Austria when Daniel Swarovski invented a machine that revolutionized exacting crystal cutting, faceting and polishing. 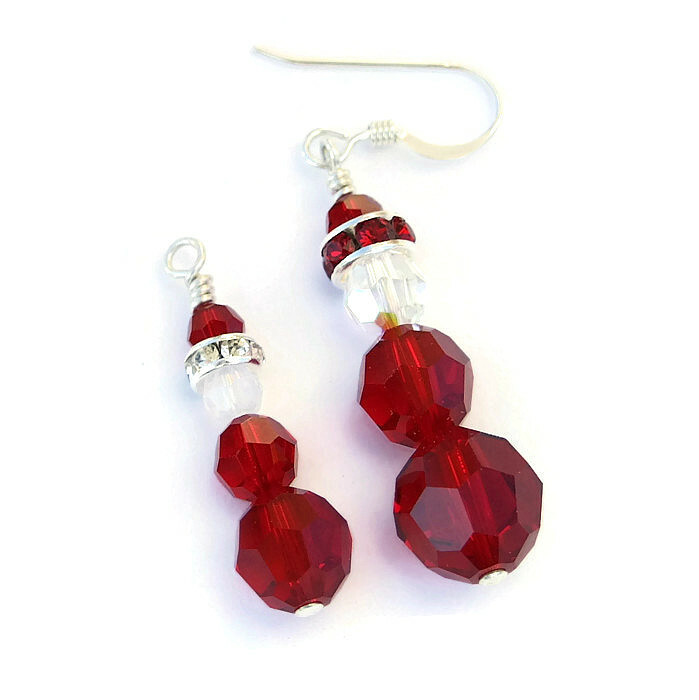 Their exquisite sparkle and flash is mesmerizing, as you will see when wearing the SANTA Christmas earrings. 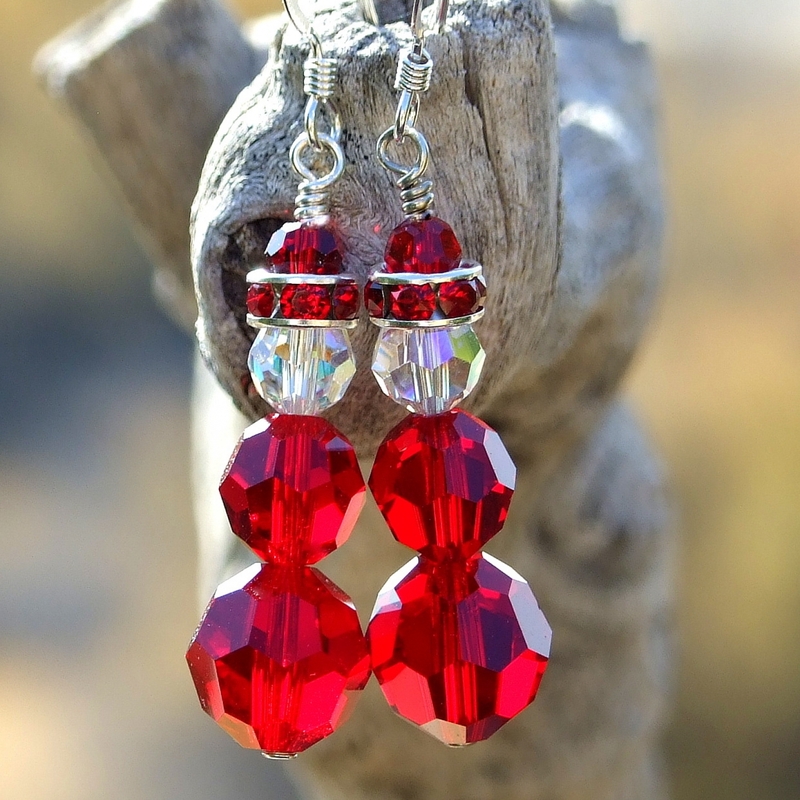 The body of the SANTA earrings were created with two colors of Swarovski crystals. 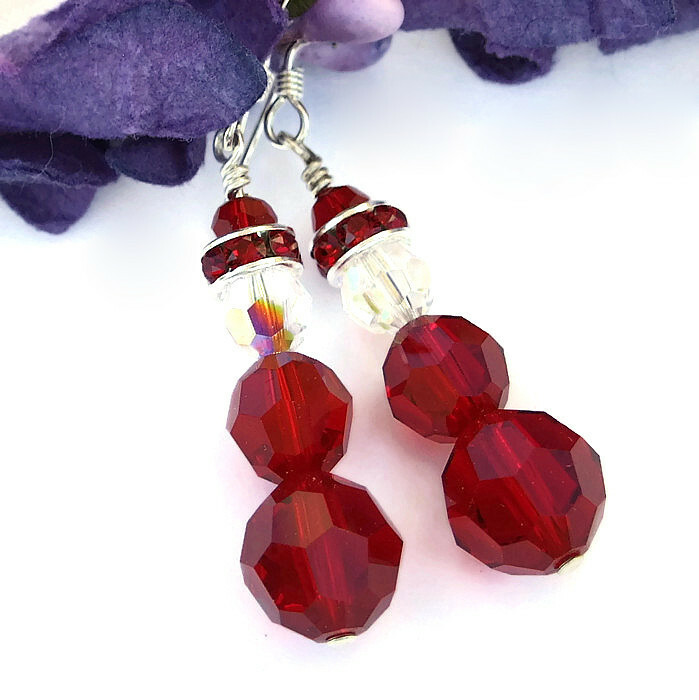 The lower body consists of two rich red siam Swarovski crystal rounds - the bottom one is 10 mm in size and the upper one is 8 mm in size. The face is represented by a 6 mm clear crystal Swarovski crystal round with an aurora borealis finish. An aurora borealis finish, consisting of extremely thin layers of metal applied in a vacuum chamber is used on some crystals to intensify the sparkle and reflect other nearby colors (see photos #1 and #5 for an example). All the Swarovski crystals rounds are faceted for maximum glitter. 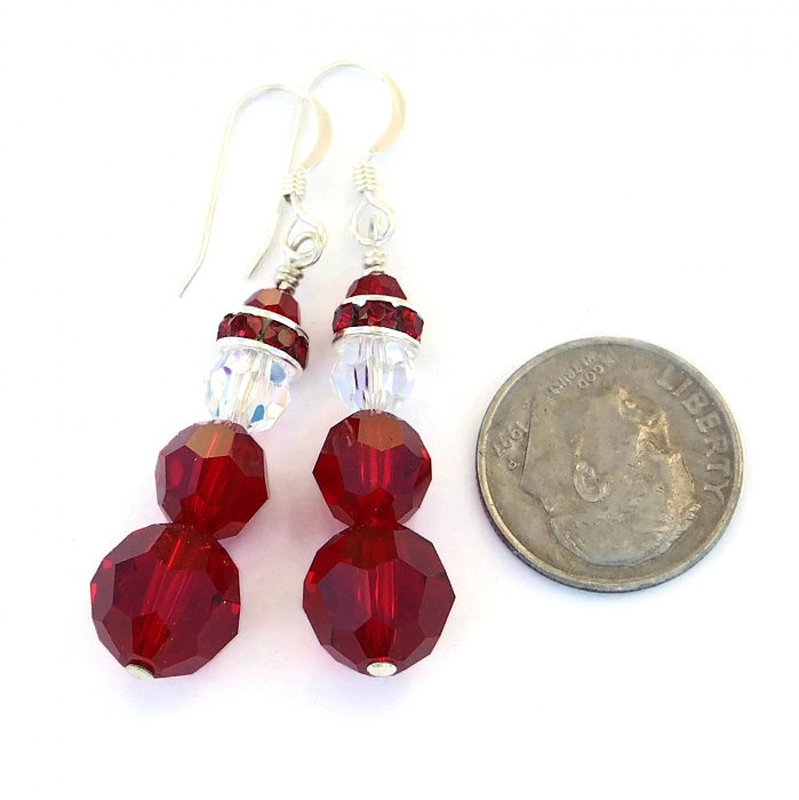 All SANTAs need a hat and these earrings have a beautiful one! The brim of the hat was created with silver plated Swarovski crystal roundelles set with tiny siam red crystals. A siam 4 mm round was nestled into the top of the roundelles. Again, all the crystals are faceted for that breathtaking Swarovski sparkle. 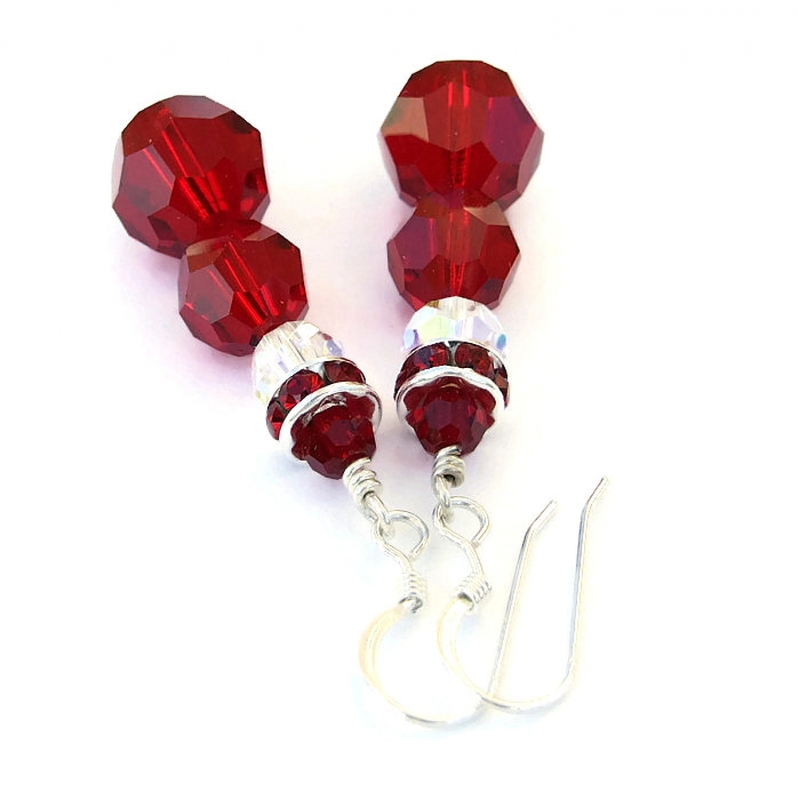 To finish the handmade SANTA earrings, each set of Swarovski crystal components were strung on a sterling silver headpin. The top of the headpin was carefully wire wrapped into a loop and then attached to sterling silver French hook earwires. A perfect finish for a perfect pair of fun holiday earrings!